A technology veteran, Ms.Kosmowski has spent nearly two decades holding leadership positions in the enterprise software space. 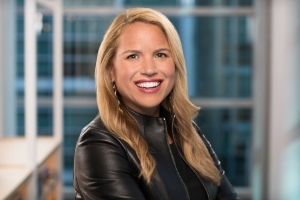 She is currently the VP, Global Customer Success organization at Slack, where she is responsible for ensuring customers realize the typeof business value from Slack that drives lifetime customer loyalty.Prior to Slack, Christina had a 15year tenure at Salesforce, where she had overseen several functions, including renewals, consulting, support, and customer success management. In that time, she helped the company grow from 200 employees and $30 million in revenue to over 25,000 employees and$8 billion in revenue. Kosmowski started her career as a manufacturing engineer at Tenneco Packaging after receiving her degree in Industrial Engineering from Northwestern University and later transitioned into consulting.Christina worked as a project manager at Inforte, a global consulting firm specializing in e-business software applications. It is here that Kosmowski's passion for customer success, business intelligence, and value delivery was born, sending her on a trajectory focused on customer success.